was awesome, giggly and peaceful. me and mango we both had 5 RAW fresh orange juices. sweet and yummy. i love my fear illness and medication free existence. i love my partner mango who is sharing the same fruitarian lifestyle with me. in the way it is a miracle, as i find most of fruitarians are confused about it. Got a question. As you both know I use to have high blood pressure but now that I am under a Fruitarian diet I was able to eliminate 3 of my medications however I still have a last med called beta blocker. I have no idea how to get ride of it. The med is called Coreg is supposed to slow down my heartbeats, I fear that if I stop it my heart rate will go to fast. I was able to get ride of the other 3 during juice fast and resting on the same time. Even under the Coreg my heartbeats are close to 90 in the morning and reduce to 70 in the evening. My BP is really good around 120/70. I won't ask any monitoring by traditional doctors as I don't trust them at all. any suggestions will be greatly appreciated. it really seems like you know the answer yourself.. You certainly seem to be on the right track, and have clearly succeeded already in eliminating 3 of the meds, so surely if you continue as you are doing, it will only be a matter of time. Besides, it seems that letting go of this last med, may be more of a psychological issue than a physical one, as you appear to be saying that it is fear that is holding you back from dropping it. However, I can see also that your body clearly does have more that it needs to eliminate.. You are probably aware already that the body goes through cycles throughout the run of the day, and that early morning until about 9 or 10 or so, depending on the person, and sleep pattern, the body often focuses on elimination.. This explains perfectly why your heart rate is faster during the morning, as elimination (detox) is pretty much always accompanied by an increased heart rate.. I will prophesize that if you just keep on the same path, keep eating fruit, then over the course of the following months or less, if you continue to monitor you pulse, as you are doing, it should almost certainly decrease during the mornings..
How often do you take this Coreg drug, and at what time of the day, and how long does it take for the drug to do what it is prescribed to do? Great that you have learnt not to trust the GPs, now you have to fully learn to trust your own body and fruit, and finally let go of the last hold the medical industry has over you.. Thank you for your great answer. I am so happy to have a person like advising me as I have 100 faith in you and Keveta. Fruit is the only diet who can heal & restablish health. Mango that 's a 12.50mg ,I take half of it in the morning around 10AM(6.25mg) and 6.25mg around 5PM. It takes about 1 H for the pill to start to work. well written mango, i agree with all you said. 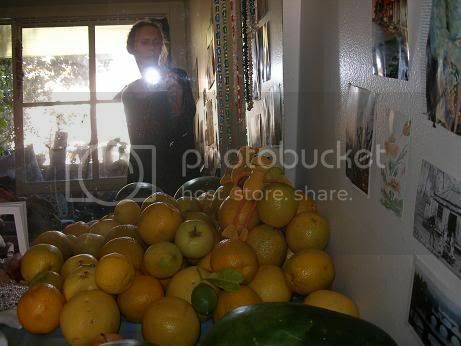 you are lucky fred, that you have faith in raw fresh fruit, it wont let you down. enjoy fruit and healing process. That's a great answer Mango gave. His intelligence and cognition are more proof that fruitarianism isn't deficient.